Registration is now open for Peace Hospice Care’s annual dancing competition, Strictly Come Hospice. The Cha-Cha-Cha and Ballroom Tango have been selected as the showcase dances this year for the fundraising competition. They are looking for 20 couples (or 40 singles) to join the annual 2018 Strictly Come Hospice competition and the chance to be crowned the Strictly Come Hospice Champions. Participants will take part in seven weeks of dancing lessons, at the YMCA in Watford, with professional dancers from Paul Alex Dance Studios. They will then have the opportunity to perform their routine in front of a panel of expert judges, and an audience of 500, at the Strictly Come Hospice Grand Finale at the Watersmeet Theatre, Rickmansworth on Friday 16th March 2018. Places are limited – couples and individuals can register. If you register as an individual then the Hospice will pair you up with others who have also registered individually. Anyone interested in taking part can sign up by visiting Peace Hospice Care Events page, emailing events@peacehospicecare.org.uk or ringing 01923 335373. 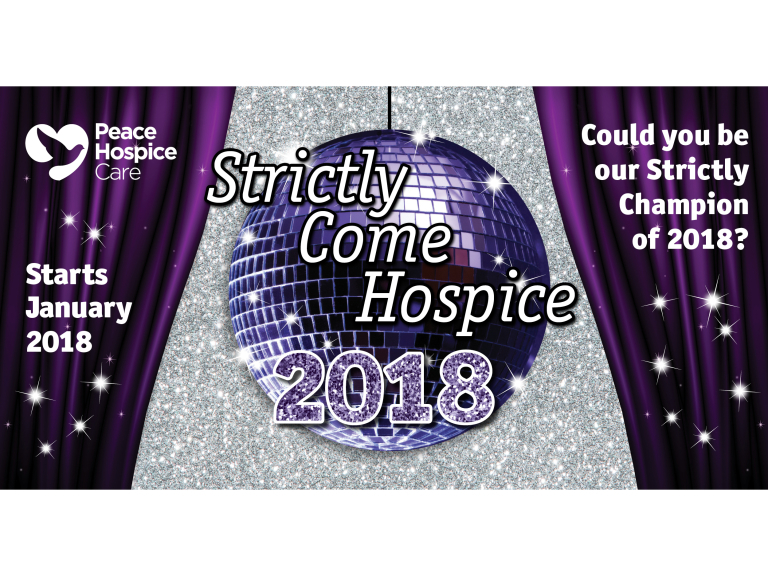 Strictly Come Hospice is just one of Peace Hospice Care’s 2018 fundraisers. Money raised by the community enables the charity to provide free specialist services to patients, and their families, facing a life-limiting illness, across South West Hertfordshire and the wider area.